How much capital should be raised? What is the right time to raise capital? How do I prepare and who should I approach? What are my financing options? How do I achieve the best terms? What is the right valuation? How can the investor add real value to the business? What kind of partnership would suit best? How do I manage ongoing communications? What can I expect post funding? Don’t want to fill up forms, then, just Whatsapp or Text message us “FUNDRAISE” at + 91 96866 91263 or email us at ssga@srisattvagroup.in! We will do everything else for you. Structured Finance – Unique financing mix for each organization? An Ideal Capital Structure is the founding stone to achieving the expansion plan keeping in mind the shareholders’ interests and optimum cost of capital. It furthers help transfer risk using complex legal and corporate entities. We work along with the industry’s experienced teams on risk assessment, risk mitigation and risk management, to develop the securitization and capital access strategies; structuring techniques and asset selection in the ultimate transaction design; cash-flow techniques and other related services at transaction issuance in the post-closing environment. Don’t want to fill up forms, then, just Whatsapp or Text message us “STRUCTURED FINANCE” at + 91 96866 91263 or email us at ssga@srisattvagroup.in! We will do everything else for you. Why Merge or Acquire when you can do it all by yourself from the scratch? Well, primarily business synergies, often taking over specialized skills or products, easier diversification through business focus and obvious answer – Growth. But, there are two other agendas which could be the focus of a merger or an acquisition – Elimination of Competition or Increased Supply Chain Pricing Power. Easy! Get Set Go! But, one of the Harvard Business School Studies indicates around 90% of the merger or acquisition plans fail. Joint Venture – Planning to expand your business? Joint venture (JV) is an ideal business structure for Companies pursuing expansion and would prefer to with experts in various domains to achieve their growth plans. Numerous successful JVs can be quoted in reference with both domestic JVs and cross border JVs. If an entity is looking to explore newer markets, gain scale efficiencies by joining hands with complimentary businesses, pool in resources and knowledge or to share financial burden or risks, without involving the existing business, then JV would be an ideal option. 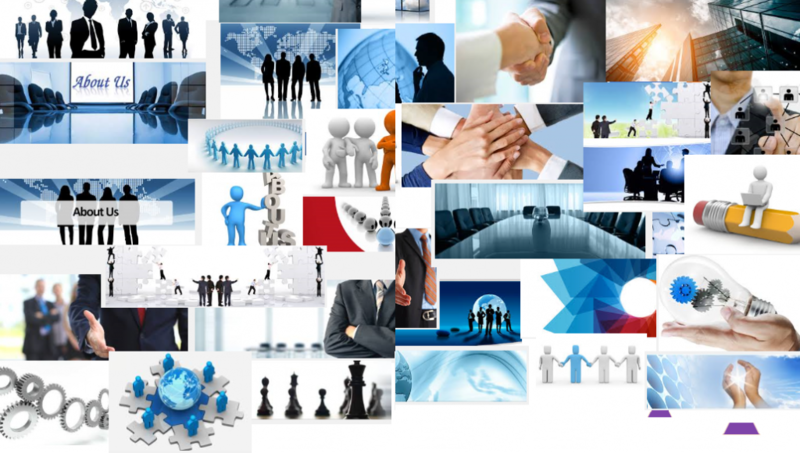 Planning and executing a Joint Venture or Business Partnering requires specialized skills. Starting from conceptualizing the JV, business plans, negotiating the terms with the parties and for that matter even monitoring the progress post launch requires expertize. Along with our team of experts across the globe, wecan assist you throughout the lifecycle of a JV, from the concept stage till its launch. Our experts can further help you monitor the JV progress and work with the JV partners towards achieving the goal. Even the termination or end of a JV needs to be carefully planned and handled to ensure smooth exit as it might have repercussions on the main business of the JV partners. JV Process? Why is it important? Negotiating the terms and conditions Toughest part – to avoid future conflicts! Don’t want to fill up forms, then, just WhatsApp or Text message us “JOINT VENTURE” at + 91 96866 91263 or email us at ssga@srisattvagroup.in! We will do everything else for you. Confident Investments, successful exits, value adding business decisions, in recent times have all indicated their affinity towards Valuation or Value of a Business. Why has it become very important for an entity to know their business worth? Whether you plan to run your business for a long time or you plan to exit it in short time, it is crucial for you to know the worth of your business. If you are aware of what your business is currently worth, it aids you in planning what value your business should reach at the stage when you intend to exit. In some cases, ascertaining the value of business is a statutory requirement. Valuing a business involves analysis of various complex factors, value drivers, in-depth industry knowledge and technical expertise to put them all together. Valuation is not just a number; it is a value which eventually a buyer would want to pay to buy your business or invest in it. Arriving at a wrong value or arriving at a convenient value would be definitely detrimental. Over valuation creates a myth of higher value and blind the Company from working on their weakness while Under Valuation would increase the pressure on the Company to improve their Valuation. Our team of experts can not only arrive at the business value but can also help you with the strategy of improving your value over a period of time. Don’t want to fill up forms, then, just WhatsApp or Text message us “VALUATION” at + 91 96866 91263 or email us at ssga@srisattvagroup.in! We will do everything else for you. Developing an effective business plan, whether it’s to understand the investment requirement, incorporate a new market opportunity or for other strategic purposes, is a complex and difficult task. Our professionals can assist you with preparation of optimal business plans that will assist you carry out the plan review, plan support and plan-build activities that you need to make key decisions and improve your strategic outcomes. Pitch Deck is the first insight to the investors on your thoughts and probably the only opportunity to create an impression and you can’t go wrong there. The potential for error is high in an environment where speed is critical. Our focus is on helping you improve your outcomes. We help you to build pitch decks in accordance with the most critical requirements of the investors, we help you identify key drivers, improve deal structures, mitigate risks, challenge assumptions about future performance and other requirements to get you through to the next stage. Whether your business is successful and you are looking to leverage opportunities in the market or your business is stressed and you need assistance with cash flow and mitigating risk, our transaction services can support you and your specific challenges. Once you reach the final step before receiving the much awaited funds, don’t stumble and fall with directionless negotiations. Terms Sheets are the deal makers or deal breakers. Be sure, you know which points of negotiation are essential and which are not, don’t miss on the funds arguing on points with less value attached or give way to unreasonable investors which may make post funding operations difficult for you. Our professional team can build the right term sheet to aid your investor negotiations and discussions.